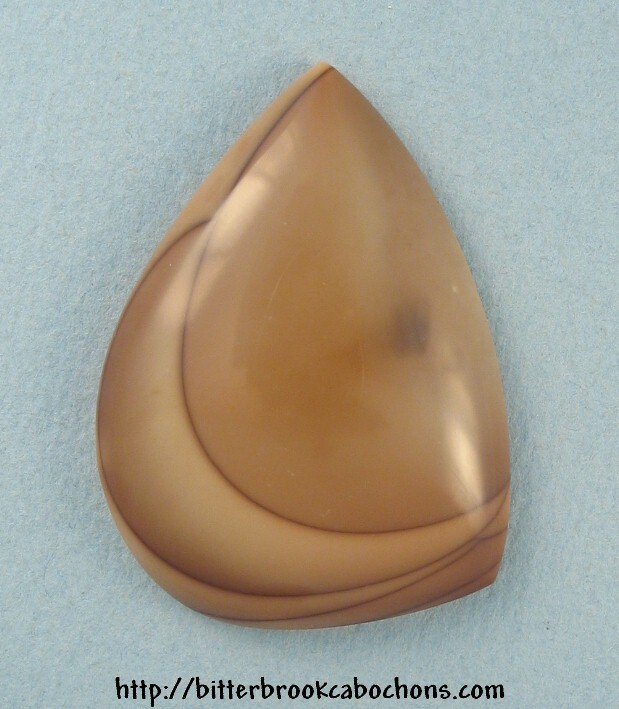 Dark Bruneau Jasper cabochon has shadowed orbs, but this was the end of the cut so there aren't many orbs. Dimensions: 34mm x 25mm x 6mm. Weight: 37.45 carats.